The First Fitna was a civil war within the Rashidun Caliphate which resulted in the overthrowing of the Rashidun caliphs and the establishment of the Umayyad dynasty. It began when the caliph Uthman ibn Affan was assassinated by rebels in 656 and continued through the four-year reign of Uthman's successor Ali ibn Abi Talib. It ended in 661 when Ali's heir Hasan ibn Ali concluded a treaty acknowledging the rule of Muawiyah, the first Umayyad caliph. 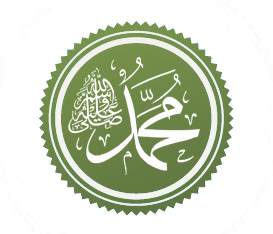 The caliphate arose out of the death of Muhammad in 632 CE and the subsequent debate over the succession to his leadership. Abu Bakr, a close companion of Muhammad from the Banu Taym clan, was elected the first Rashidun leader and began the conquest of the Arabian Peninsula. He ruled from 632 to his death in 634. Abu Bakr was succeeded by Umar, his appointed successor from the Banu Adi clan, who began the conquest of Persia from 642 to 651, leading to the defeat of the Sassanid Empire. Umar was assassinated in 644  and was succeeded by Uthman, who was elected by a six-person committee arranged by Umar. Under Uthman began the conquest of Armenia, Fars and Khorasan. Uthman was assassinated in 656  and succeeded by Ali, who presided over the civil war known as the First Fitna (656–661). The war was primarily between those who supported Uthman's cousin and governor of the Levant, Muawiyah, and those who supported the caliph Ali. 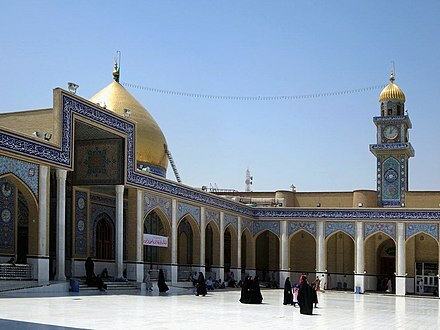 The civil war permanently consolidated the divide between Sunni and Shia Muslims, with Shia Muslims believing Ali to be the first rightful caliph and Imam after Muhammad. A third faction in the war supported the governor of Egypt, Amr ibn al-As. The war was decided in favour of the faction of Muawiyah, who established the Umayyad Caliphate in 661. 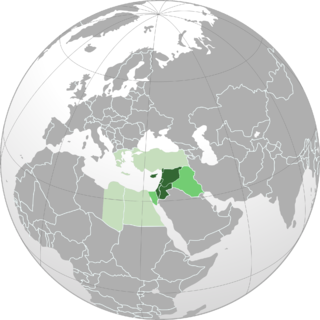 The succession to Muhammad is the central issue that split the Muslim community into several divisions in the first century of Muslim history, thus forming the Shia and Sunni branches of Islam. Banu Taym is a sub-clan of the Quraish tribe, descended from Fihr ibn Malik and Adnan. Ansar are the local inhabitants of Medina who took the Islamic Prophet Muhammad and his followers into their homes when they emigrated from Mecca (hijra). Umar, also spelled Omar, was one of the most powerful and influential Muslim caliphs in history. He was a senior companion of the Islamic prophet Muhammad. 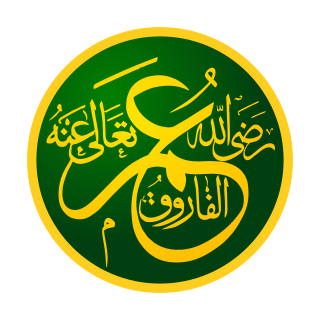 He succeeded Abu Bakr (632–634) as the second caliph of the Rashidun Caliphate on 23 August 634. He was an expert Muslim jurist known for his pious and just nature, which earned him the epithet Al-Farooq. He is sometimes referred to as Umar I by historians of Islam, since a later Umayyad caliph, Umar II, also bore that name. Notably, according to Sunnis, all four Rashidun Caliphs were connected to Muhammad through marriage, were early converts to Islam,  were among ten who were explicitly promised paradise, were his closest companions by association and support and were often highly praised by Muhammad and delegated roles of leadership within the nascent Muslim community. 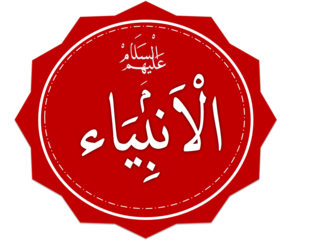 Sunan Abu Dawood is one of the Kutub al-Sittah, collected by Abu Dawood. Musnad Ahmad ibn Hanbal is a collection of Hadith collected by the Islamic scholar Ahmad ibn Hanbal, to whom the Hanbali fiqh (legislation) is attributed. In response to these worries, Muhammad said: "O Arabs! You are miserable because I have appointed Usama as your general, and you are raising questions if he is qualified to lead you in war. I know you are the same people who had raised the same question about his father. By God, Usama is qualified to be your general just as his father was qualified to be a general. Now obey his orders and go." 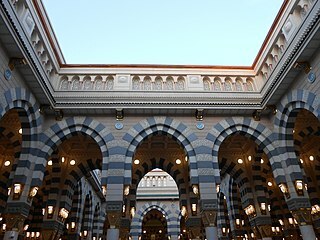 Whenever Muhammad felt any relief from his fatal sickness, he would inquire as to whether Usama's army had left for Syria yet, and would continue urging his companions to leave for Syria. Muhammad even said, "Usama's army must leave at once. May Allah curse those men who do not go with him." However, while a few companions were ready to join Usama's army, many other companions, including Abu Bakr and Umar, disobeyed Muhammad's orders. It is also noted that this was the only battle expedition where Muhammad urged his companions to go to the battle no matter what; for other battles, if someone was unable to go to the fight, Muhammad would let them stay at home. 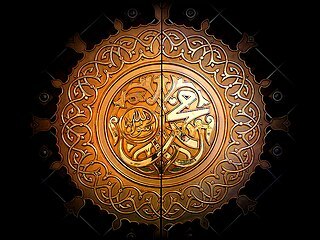 It has been pointed out in history that the fact that Muhammad ordered his companions, but not his family, to leave Medina right before he knew he was about to die  is proof that he did not intend for his companions to decide on his succession. That matter had already been decided at Ghadir Khumm. However, after Muhammad passed away, a group of Muslims left Ali and gathered at Saqifa. In what has been described as a coup d'état,  Umar pledged allegiance to Abu Bakr, after which Abu Bakr assumed power. This was followed by an attack on the house of Ali and Fatimah in an attempt to defeat any opposition to Abu Bakr. While the caliphate continued its rapid expansion, Umar laid the foundations of a political structure that could hold it together. He created the Diwan, a bureau for transacting government affairs. The military was brought directly under state control and into its pay. Crucially, in conquered lands, Umar did not require that non-Muslim populations convert to Islam, nor did he try to centralize government. Instead, he allowed subject populations to retain their religion, language and customs, and he left their government relatively untouched, imposing only a governor ( amir ) and a financial officer called an amil. These new posts were integral to the efficient network of taxation that financed the empire. Despite internal troubles, Uthman continued the wars of conquest started by Umar. The Rashidun army conquered North Africa from the Byzantines and even raided Spain, conquering the coastal areas of the Iberian peninsula, as well as the islands of Rhodes and Cyprus. [ citation needed ] Also, coastal Sicily was raided in 652. The Rashidun army fully conquered the Sasanian Empire, and its eastern frontiers extended up to the lower Indus River. 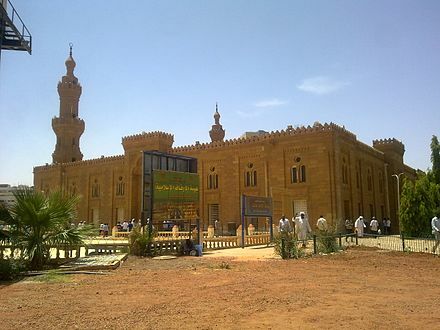 After a protest turned into a siege on his house, Uthman refused to initiate any military action, in order to avoid civil war between Muslims, and preferred to negotiate a peaceful solution. [ citation needed ] After the negotiations, the protesters returned but found a man following them, holding an order to execute them, at which point, the protesters returned to Uthman's home, bearing the order. Uthman swore that he did not write the order and to talk the protesters down. The protesters responded by demanding he step down as caliph. Uthman refused and returned to his room, whereupon the protesters broke into Uthman's house and killed him while he was reading the Qur'an. It was later discovered that the order to kill the rebels did not, in fact, originate from Uthman, but was, rather, part of a conspiracy to overthrow him. 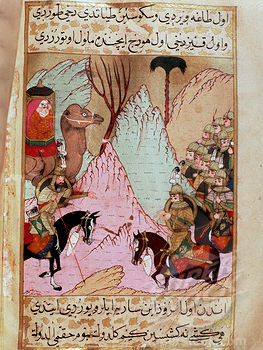 Illustration of the Battle of Siffin, from a 14th-century manuscript of the Tarikh-i Bal'ami . Abu Ubaida ordered the Muslim commanders to withdraw from all the conquered areas, return the tributes they had previously gathered, and move towards Yarmuk. Heraclius's army also moved towards Yarmuk, but the Muslim armies reached it in early July 636, a week or two before the Byzantines. Khalid's mobile guard defeated the Christian Arab auxiliaries of the Roman army in a skirmish. The ease with which this valuable province was wrenched from the Byzantine Empire appears to have been due to the treachery of Cyrus,  prefect of Egypt and Melchite Patriarch of Alexandria, and the incompetence of the Byzantine generals, as well as the loss of most of the Byzantine troops in Syria. Cyrus had persecuted the local Coptic Christians. He was one of the authors of monothelism, a seventh-century heresy, and some supposed him to have been a secret convert to Islam. The Muslims were assisted by some Copts, who found the Muslims more tolerant than the Byzantines, and of these some turned to Islam. In return for a tribute of money and food for the occupation troops, the Christian inhabitants of Egypt were excused from military service and left free in the observance of their religion and the administration of their affairs. Others sided with the Byzantines, hoping that they would provide a defense against the Arab invaders. During the reign of Caliph Ali, Egypt was captured by rebel troops under the command of former Rashidun army general Amr ibn al-As, who killed Muhammad ibn Abi Bakr, the governor of Egypt appointed by Ali. 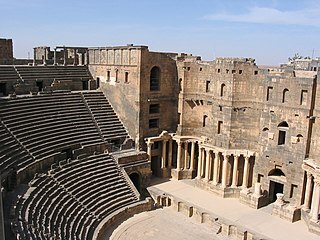 During Umar's reign, the governor of Syria, Muawiyah I, sent a request to build a naval force to invade the islands of the Mediterranean Sea but Umar rejected the proposal because of the risk to the soldiers. Once Uthman became caliph, however, he approved Muawiyah's request. In 650, Muawiyah attacked Cyprus, conquering the capital, Constantia, after a brief siege, but signed a treaty with the local rulers. During this expedition, a relative of Muhammad, Umm-Haram, fell from her mule near the Salt Lake at Larnaca and was killed. She was buried in that same spot, which became a holy site for many local Muslims and Christians and, in 1816, the Hala Sultan Tekke was built there by the Ottomans. After apprehending a breach of the treaty, the Arabs re-invaded the island in 654 with five hundred ships. This time, however, a garrison of 12,000 men was left in Cyprus, bringing the island under Muslim influence. After leaving Cyprus, the Muslim fleet headed towards Crete and then Rhodes and conquered them without much resistance. From 652-654, the Muslims launched a naval campaign against Sicily and captured a large part of the island. Soon after this, Uthman was murdered, ending his expansionist policy, and the Muslims accordingly retreated from Sicily. In 655 Byzantine Emperor Constans II led a fleet in person to attack the Muslims at Phoinike (off Lycia) but it was defeated: both sides suffered heavy losses in the battle, and the emperor himself narrowly avoided death. The standard form of body armor was chainmail. There are also references to the practice of wearing two coats of mail (dir’ayn), the one under the main one being shorter or even made of fabric or leather. Hauberks and large wooden or wickerwork shields were also used as protection in combat. The soldiers were usually equipped with swords hung in a baldric. They also possessed spears and daggers. [ page needed ] Umar was the first Muslim ruler to organize the army as a state department, in 637. A beginning was made with the Quraish and the Ansar and the system was gradually extended to the whole of Arabia and to Muslims of conquered lands. The 630s decade ran from January 1, 630, to December 31, 639. Uthman ibn Affan, also known in English by the Turkish and Persian rendering Osman, was a son-in-law and notable companion of the Islamic prophet Muhammad, the third of the Rashidun, or "Rightly Guided Caliphs". Born into a prominent Meccan clan, Banu Umayya of the Quraysh tribe, he played a major role in early Islamic history, and is known for having ordered the compilation of the standard version of the Quran. When Caliph Umar ibn al-Khattab died in office aged 59/60 years, ʿUthmān, aged 64/65 years, succeeded him and was the second-oldest to rule as Caliph. The Rashidun Caliphs, often simply called, collectively, "the Rashidun", is a term used in Sunni Islam to refer to the 30-year reign of the first four caliphs (successors) following the death of the Islamic prophet Muhammad, namely: Abu Bakr, Umar, Uthman ibn Affan, and Ali of the Rashidun Caliphate, the first caliphate. 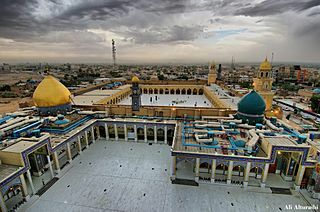 The concept of "Rightly Guided Caliphs" originated with the later Abbasid Caliphate based in Baghdad. It is a reference to the Sunni imperative "Hold firmly to my example (sunnah) and that of the Rightly Guided Caliphs". Saqīfah, also known as Saqīfah Banī Sā'idah, was a roofed building used by a tribe known as Banu Sa'idah in the city of Medina. Saqifah is significant as the site where, after Muhammad's death, some of his companions gathered and pledged allegiance to Abu Bakr. No one from Muhammad's family was present, and Ali ibn Abi Talib was conducting Muhammad's funeral at the time. 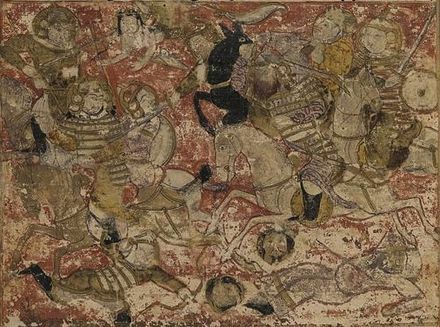 The Battle of Hazir or Ma'arakah al-Haadhir took place between the Byzantine army and the Rashidun army's elite cavalry, the Mobile guard. It took place in June 637, three miles east of Qinnasrin at Al-Hadher in present-day Syria. The Battle of the Iron Bridge was fought between the Muslim Rashidun army and the Byzantine army in 637 AD. The battle took its name from a nearby nine-arch stone bridge spanning the Orontes River which had gates trimmed with iron. It was one of the last battles fought between the Byzantines and Rashidun Caliphate in the province of Syria. The aftermath of the battle marked the nearly complete annexation of the province into the Rashidun Caliphate with the fall of its capital. The Rashidun army was the core of the Rashidun Caliphate's armed forces during the Muslim conquests of the 7th century, serving alongside the Rashidun navy. The Rashidun army maintained a high level of discipline, strategic prowess and organization. The Siege of Germanicia or Marash was led by Muslim forces of the Rashidun Caliphate during their campaigns in Anatolia in 638. The city surrendered without much bloodshed. This expedition is important because it marks the end of the military career of the legendary Arab Muslim general Khalid ibn Walid, who was dismissed from the army a few months after his return from the expedition. 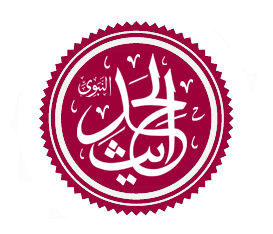 Khālid ibn al-Walīd ibn al-Mughīrah al-Makhzūmī, commonly known as simply Khalid ibn al-Walīd, was an army commander under Abu Bakr and Umar ibn Khattab. It was under his military leadership that Arabia, for the first time in history, was united under a single political entity, the Caliphate. ↑ Rein Taagepera (September 1997). "Expansion and Contraction Patterns of Large Polities: Context for Russia". International Studies Quarterly . 41 (3): 495. doi:10.1111/0020-8833.00053. JSTOR 2600793. ↑ Sowerwine, James E. (May 2010). Caliph and Caliphate: Oxford Bibliographies Online Research Guide. Oxford University Press, USA. p. 5. ISBN 9780199806003. ↑ Ochsenweld, William; Fisher, Sydney Nettleton (2004). The Middle East: A History (6th ed.). New York: McGraw Hill. ISBN 978-0-07-244233-5. ↑ Hinds, Martin (October 1972). "The Murder of the Caliph 'Uthman". International Journal of Middle East Studies. 3 (4): 457. ↑ Triana, María (2017-03-31). Managing Diversity in Organizations: A Global Perspective. Taylor & Francis. p. 159. ISBN 9781317423683. ↑ Catharina Raudvere, Islam: An Introduction (I.B.Tauris, 2015), 51-54. ↑ Asma Afsaruddin (2008). The first Muslims: history and memory. Oneworld. p. 55. ↑ Safia Amir (2000). Muslim Nationhood in India: Perceptions of Seven Eminent Thinkers. Kanishka Publishers, Distributors. p. 173. ISBN 9788173913358. ↑ Heather N. Keaney (2013). Medieval Islamic Historiography: Remembering Rebellion. Sira: Companion- versus Caliph-Oriented History: Routledge. ISBN 9781134081066. He also foretold that there would be a caliphate for thirty years (the length of the Rashidun Caliphate) that would be followed by kingship. ↑ Hamilton Alexander Rosskeen Gibb; Johannes Hendrik Kramers; Bernard Lewis; Charles Pellat; Joseph Schacht (1970). "The Encyclopaedia of Islam". The Encyclopaedia of Islam. Brill. 3 (Parts 57-58): 1164. ↑ Aqidah.Com (December 1, 2009). "The Khilaafah Lasted for 30 Years Then There Was Kingship Which Allaah Gives To Whomever He Pleases". Aqidah.Com. Aqidah.Com. Retrieved 16 August 2014. ↑ Majd, Vahid. The Sermon of Prophet Muhammad (saww) at Ghadir Khum. p. 151. ↑ Majd, Vahid. The Sermon of Prophet Muhammad (saww) at Ghadir Khum. pp. 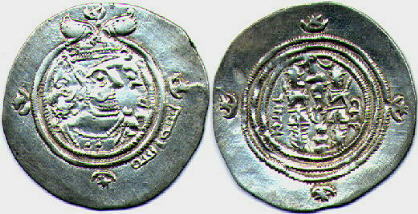 152–154. ↑ Tabari. History, Volume II. p. 435. ↑ Razwy, Sayed Ali Asgher. A Restatement of the History of Islam & Muslims. p. 289. ↑ "Saqifah: A Sunni View" . Retrieved 10 May 2018. ↑ Tabari: Vol. 2, p. 467. 1 2 3 4 Gianluca Paolo Parolin, Citizenship in the Arab World: Kin, Religion and Nation-state (Amsterdam University Press, 2009), 52. 1 2 The Arab Conquest of Iran and its Aftermath, 'Abd Al-Husein Zarrinkub, The Cambridge History of Iran, Volume 4, ed. William Bayne Fisher, Richard Nelson Frye (Cambridge University Press, 1999), 5-6. ↑ Battle of Yarmouk River, Spencer Tucker, Battles That Changed History: An Encyclopedia of World Conflict (ABC-CLIO, 2010), 92. ↑ Khalid ibn Walid, Timothy May, Ground Warfare: An International Encyclopedia, Vol. 1, ed. Stanley Sandler (ABC-CLIO, 2002), 458. 1 2 3 4 5 6 شبارو, عصام محمد (1995). 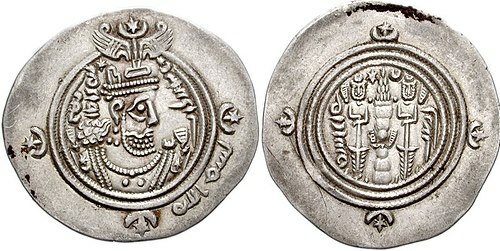 First Islamic Arab State (1 – 41 AH/ 623 – 661 CE). 3. Arab Renaissance House – Beirut, Lebanon. p. 370. 1 2 3 4 5 6 Madelung, Wilferd (1997). The Succession to Muhammad: A Study of the Early Caliphate. Cambridge University Press. ISBN 978-0-521-64696-3. ↑ A. I. Alkram. "Chapter 19: The Battle of Chains - Chapter 26: The Last Opposition". Khalid bin Al-Waleed: His Life and Campaigns. The Sword of Allah. p. 1. 1 2 A.I. Akram. "Chapter 31: The Unkind Cut". The Sword of Allah: Khalid bin Al-Waleed: His Life and Campaigns. p. 1. Archived from the original on January 5, 2003. Retrieved 16 July 2010. ↑ "Chapter 32: The Battle of Fahl". Khalid bin Al-Waleed: His Life and Campaigns. The Sword of Allah. p. 1. Archived from the original on January 10, 2003. Retrieved 16 July 2010. ↑ "The Roots of Democracy in Islam". Irfi.org. 2002-12-16. Retrieved 2014-06-30. ↑ Geaves, Ron (2010-07-01). Islam Today: An Introduction. A&C Black. p. 61. ISBN 9781847064783. ↑ Noah Feldman (16 March 2008). "Why Shariah?". New York Times. Retrieved 2008-10-05. ↑ Fratini, Dan (2006-04-01). "The Battle Of Yarmuk, 636". Military History Online. Archived from the original on 2011-02-14. Retrieved 2014-11-29. 1 2 Hugh Kennedy (2001). "CHAPTER SEVEN: Weapons and equipment in early Muslim armies". The Armies of the Caliphs: Military and Society in the Early Islamic State. London: Routledge. p. 168. ↑ Kennedy, Hugh (2001). "CHAPTER EIGHT: Fortification and siege warfare". The Armies of the Caliphs: Military and Society in the Early Islamic State. London: Routledge. p. 183.